Facebook/CrocsCrocs are winning over teens. 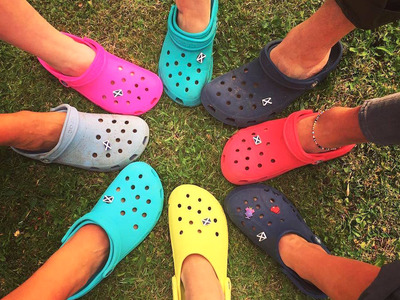 Crocs’ popularity is skyrocketing among teens, according to Piper Jaffray’s biannual survey. Crocs’ surge in popularity can be attributed to the rise of “ugly” aesthetics and teens’ growing preference for brands over fashion. The iconic brand’s popularity has skyrocketed over the past year, according to Piper Jaffray’s biannual survey of teen preferences. According to the report, released on Monday, Crocs now rank 13th out of all footwear brands in teen popularity. Coming in at No. 13 is a massive jump forward. Last year, Crocs ranked No. 27. In Spring 2017, they languished at No. 38. According to Piper Jaffray, Crocs’ mindshare is triple the brand’s historical average among teens. “The most notable brand gainers have been Vans, Adidas, Lululemon and, surprisingly, Crocs,” the analysts wrote in the report. Crocs’ dominance is less surprising when situated in the current era of ugly fashion. Few brands are as well known for their straightforward, ugly aesthetic as Crocs. As a result, high-fashion designers have been eager to repurpose the brand as an ironic high-fashion icon Balenciaga’s $US850 platform Crocs sold out almost instantly. 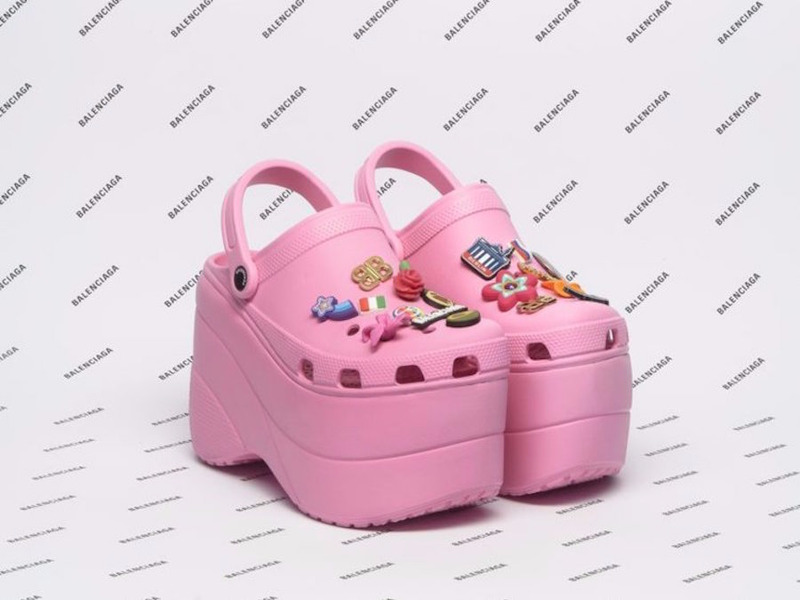 A follow-up Balenciaga Crocs stiletto quickly went viral. However, most teens are not spending hundreds of dollars on Crocs. Scrolling through social media reveals that the average teenagers’ appreciation for the brand is oftenearnest, while simultaneously showcasing the brand’s strength as a memeableicon. Yesterday was #NationalCrocsDay and no one told me??? October 23rd is National Croc Day. Don’t forget to wear your crocs. The win comes at a fitting time for Crocs. Fans have decided that October 23, this Tuesday, is National Crocs Day and have been rallying to show the footwear brand support on social media.